How do you know if you are a “unicorn” employee? If you’re not one now, how can you become one? Unicorn employees are an anomaly in the business world. So, if you aren’t one already, strive to become one and success is sure to follow. 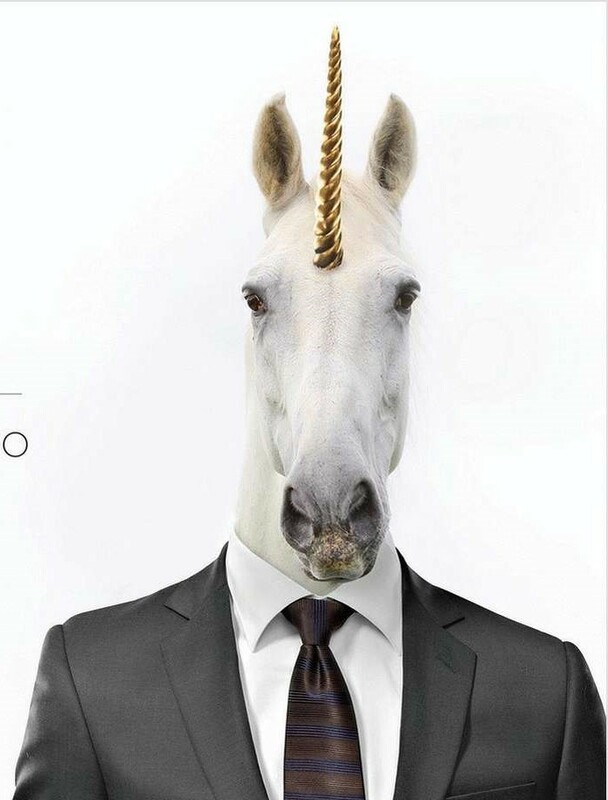 Unicorn employees are staff who possess a unique set of qualities that make them extremely rare and valuable. Like the mythical creature, unicorn employees are hard to find, but once hired, they offer huge benefits in the workplace. They shatter expectations, raise the bar, and are truly a joy to be around. Unicorn employees can potentially take a business to the next level. Go beyond the limits of your current job title. Employees who truly flourish are flexible and intellectually curious. Having the ability to wear many hats and excel at varied tasks, is critical. For example, just because someone’s job title is “Office Administrator,” doesn’t mean they should shy away from pitching in on a major marketing campaign. Unicorn employees jump at the chance to dive deeper into specific, growing areas of business that need good people. Some even make surprising leaps across several departments. This is so important to employee growth … to expand knowledge and expertise across the business … and grow unicorn horns. Pay attention to the finer details within the bigger picture. Exceptional employees think strategically. They can take a step back and see the overall company goals and apply it to their work. To be effective in business, you must be able to see the big picture. Although big-picture thinking is critical, the best employees also know how to pay attention to smaller details as well. It may seem like a minor issue … an improperly executed email campaign, or a slight technical glitch … can end up being disastrous, affecting many clients in a short amount of time. The best employees are those who take the time to read the fine print. These are people who can be trusted with serious responsibility. Blaze with passion and persevere. The concept of “grit” has become a popular culture recently, defined as “perseverance and passion for long-term goals,” and a crucial factor to achieving success. As an entrepreneur since my early-20’s, I’ve learned the business world is like being on a boat in the open sea. Whether a patch of rough waves or an unexpected storm, unforeseen obstacles are inevitable. During turbulent times, having true grit—a strong-willed persistence—can help you keep focused on the end goal. Unicorn employees are passionate and have the true grit to preserve. They are able to stay calm and focused on the task at hand, even on choppy seas. Having the ability to work well with others is a skill that benefits any workplace. Unicorn employees are respectful and would never treat someone—regardless of title—rudely. It’s something that absolutely sets a stellar employee apart from an average one. A core value to professional success: “Respect the individual,” and “lead with humility.” Remember, you cannot achieve greatness alone. Work hard and achieve goals. Having fun at work is crucial to success. However, it’s just as important for people on the job to get their work done. No matter how great a co-worker is to be around, if he can’t produce results, his presence isn’t helpful and may even be damaging. Great teams can be shattered by a single member who doesn’t perform. Studies have shown that top performers contribute 10 times more to business than their “average” counterparts. Microsoft claims that figure to be closer to 100 times. At the end of the day, you can be respectful, multi-talented, tenacious, detail-oriented, and a big-picture thinker. But, all of these traits are wasted if you don’t produce real results. You must be able to execute. It’s an essential quality to being a “unicorn” employee. For many companies and business leaders, it is advantageous to go the extra mile to chase down a “unicorn” employee. Unlike their mythical counterparts, they are very real and can heighten a company’s efficiency and progression. If you are a unicorn employee in the making, grow your strengths; make yourself more rare and valuable than ever. Previous postWHAT CAN A CAREER COACH DO FOR YOU?